It is a low calorie diet that focuses on weight loss. It claims to make you lose 4.5 kilograms or 10 lbs. in 1 week. For the second phase, which goes from day 4 to day 7, it is highly recommended to consume only healthy food, as long as the calorie count is among 1200 and 1500, and to carefully keep a low count of calories in order to continue losing weight during phase 1 which is from day 1 to day 3. Instead of toast, eat rice cake and instead of saltine wafers or crackers, you can choose between whole grain cereal or tortilla. Replace broccoli with Brussels sprouts, beetroot, asparagus, cabbage and cauliflower. It is not an easy diet to follow and that’s why it received its name. However, it is claimed to be very efficient in weight loss. 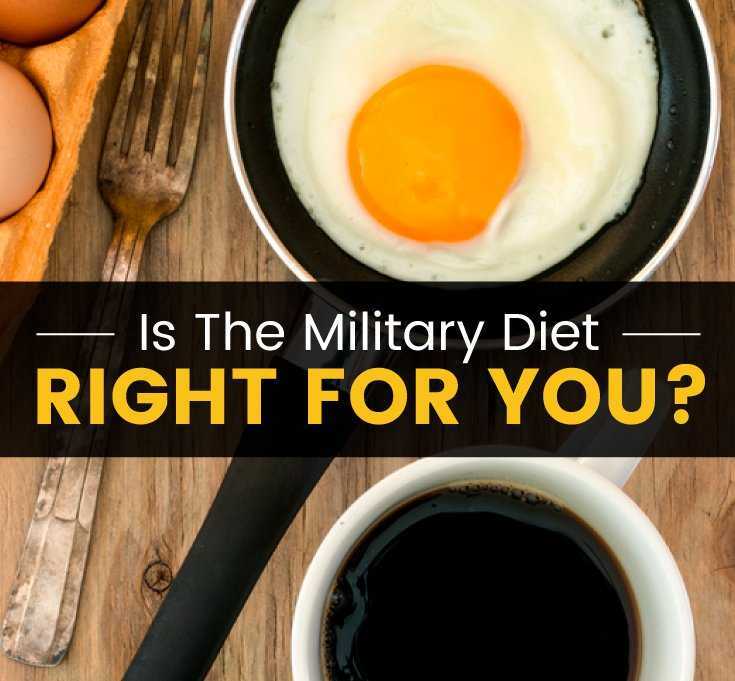 It has no relation with any actual military diet. Quick and Effective Home Remedy For Snoring – How to Stop Snoring?